The Cat on My Head’s Calista Jo joins Awww Mondays blog hop & Sparks. Usually we begin the week and our Monday post with a Spark, but we have switched things up today. We will conclude this post with our Spark. Calista Jo is here to join the Awww Mondays blog hop at Comedy Plus with a photo from last week’s Roundup. You can expect more of these later in the week. 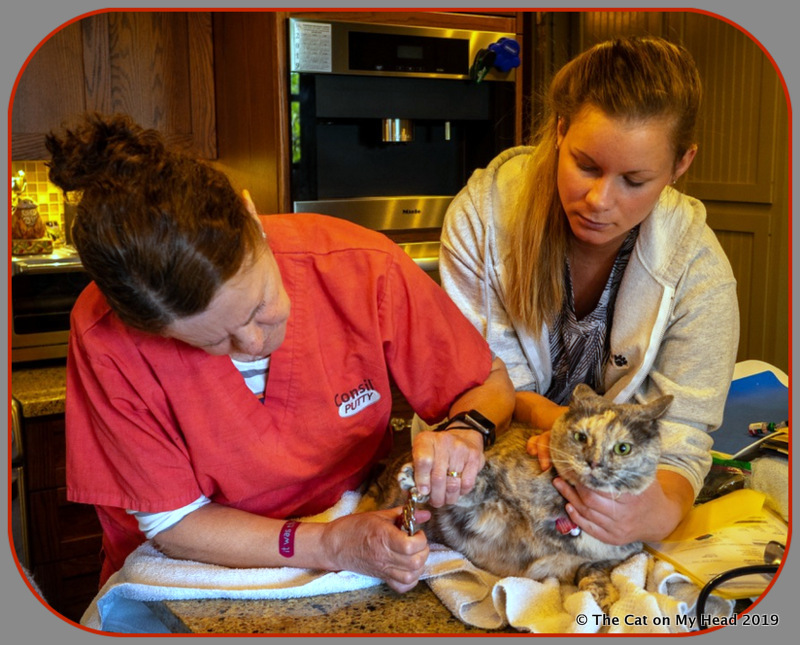 None of the Kitties Blue are fond of pawticures, as evidenced by the bandaid on Dr. Neel’s arm, which reads, “It Was The Cat.” Before the visit was complete, Alexa also would have a bandaid with another pithy saying. 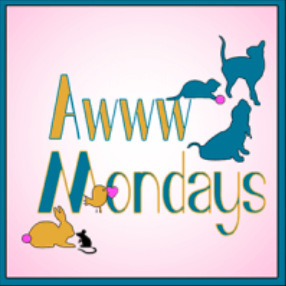 If you’d like to be part of the Awww Mondays blog hop, click on the badge below. 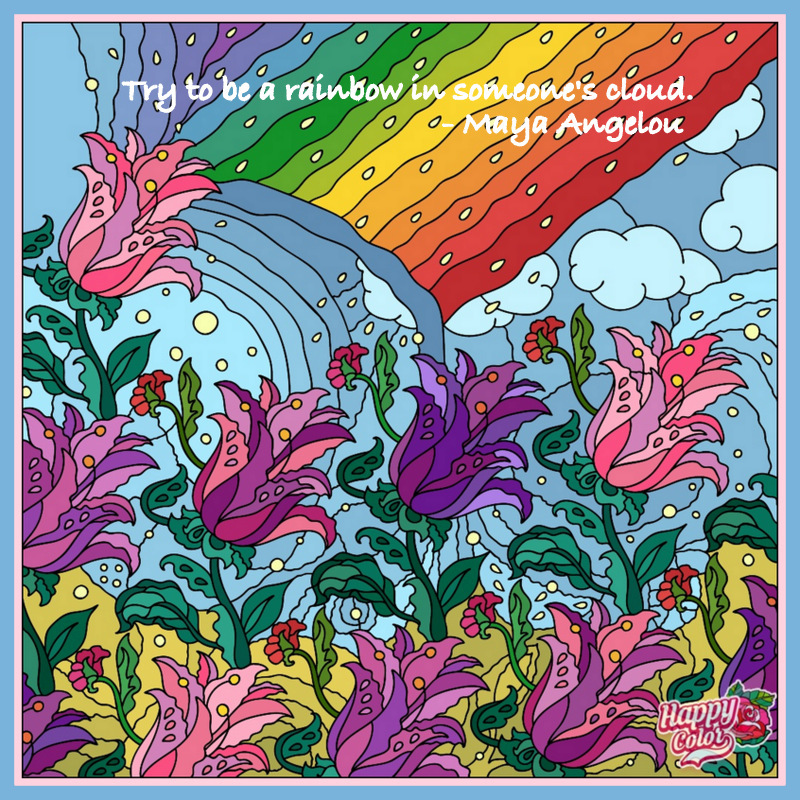 I chose this for my Spark, as things have been metaphorically pretty cloudy in the Blue household lately. Some very special ladies (you know who you are) are my daily rainbows and rays of sunshine. Thank you, friends! Please join us tomorrow for a special post. We don’t like pawdicures too, but we sometimes let the dad do it to us. Haw ! Where can I get some of those Band-Aids ? Calista Jo looks decidedly peeved in this photo! This is why The Hubby doesn’t give pawdicures to Da Boyz any more; he couldn’t stand the unhappy faces that they gave him! Not a happy moment … MOL! Love the Spark! Calisto Jo, you don’t look very pleased with what is happening! calista; round heer… we call that face; “ate sum crankee azz cat chow ” 😉 ♥♥ !! I had kitties for years and years and I can attest to what they like and what they don’t like. I love that bandaid. Purrfect. 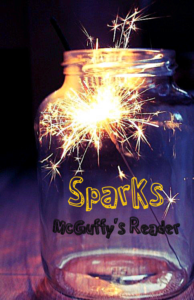 Love the Spark and we should all take heed to that advice. I sent you and email yesterday about featuring Cooper Murphy on my Awww Monday on the 22 of this month. I may have ended up in your spam folder? It’s the best selfie ever. Oh someone doesn’t look happy! Great Spark though. We think the look on Calista Jo’s face says a LOT!! I am glad the round up went well with only 2 band aids needed. 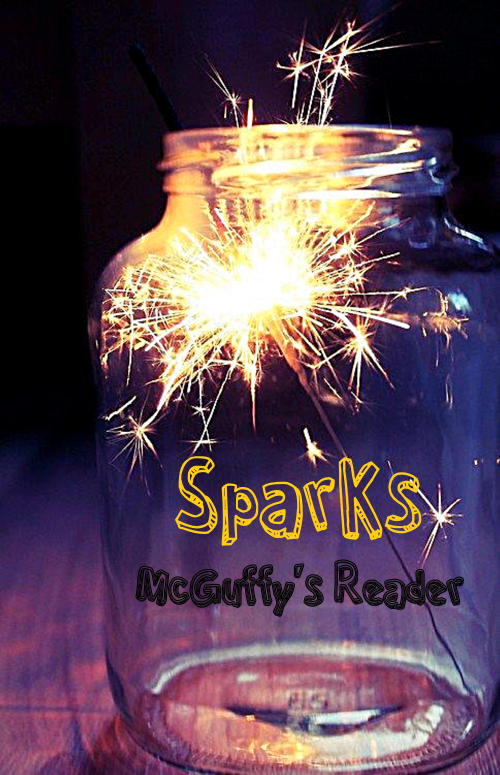 The picture for the Spark is pretty. That roundup has to be a challenge for EVERYONE but most especially Dr. Neel and company! Good thing you had bandaids at the ready…..at least it’s over with for another year. YAY. Love your pretty spark poster too – and anything Ms. Angelou says it worth LISTENING to.